I have read several of the books in Suzanne Wright’s The Phoenix Pack series and The Mercury Pack series and I’ve always found them enjoyable reads. Although Lure of Oblivion (The Mercury Pack #3) can be read as a standalone, I think it’s best enjoyed in order, but not necessary if you wanna cut straight to book #3. Also, since The Mercury Pack is a spin-off series from The Phoenix Pack, be prepared to have some characters from the previous books make appearances. 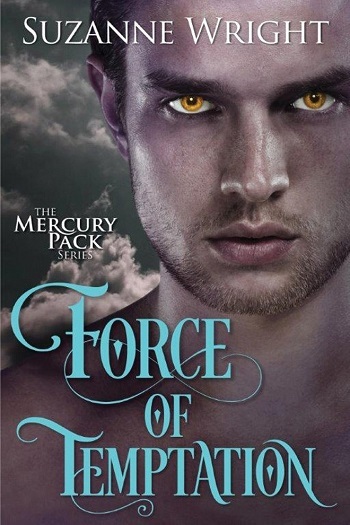 Now, I had some minor reservations about Lure of Oblivion because I wasn’t overly fond of Force of Temptation (The Mercury Pack #2). It just didn’t quite entice me in the same way as Wright’s books usually do. However, I had nothing to worry about because Wright once again easily lured me into her story! I have grown fond of all these characters throughout the series and I love the way she always finds a way to weave them back in to give us an update on their lives. Lure of Oblivion follows the story of Gwen Miller, a human who takes a stand to protect a lone female shifter who was assaulted and harassed. Luckily, Zander Devlin, an enforcer for the Mercury pack, happens to be staying at the inn where Gwen works and he’s taken a sudden interest in the situation and in Gwen. I loved Gwen because she was such a strong and independent female character and she had no trouble going toe to toe with Zander. Also, I was so excited to read Zander’s story and the chemistry between him and Gwen was perfect! Lure of Oblivion was another great addition to Wright’s Mercury Pack series and I can’t wait for Wright’s next book! I love this series and how the author blends new stories and older characters together seamlessly, and Zander's story is no exception. Zander's wolf is scarred as is the man. When he meets Gwen, he doesn't understand why his wolf shies away. Gwen is strong, fights for what's right, and is loyal to a fault. Gwen spent most of her childhood wondering why her mother didn't stand up to her stepfather, why she continued to let him abuse her. The best thing that ever happened to her was being taken away from mother and placed in foster care. Ever since, she's stood up for what's right even if she pays a heavy price. She likes Zander, but doesn't understand what he sees in her. She's human after all. She knows that his wolf is wary of her and she believes it because she is human. However, when Gwen's life is threatened by outside forces, Zander's wolf comes to her aid, forging a bond that cannot be broken. 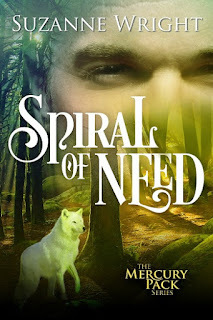 For reviews & more info, check out our Spiral of Need post. For reviews & more info, check out our Force of Temptation post. Suzanne Wright can’t remember a time when she wasn’t creating characters and telling their tales. Even as a child in England, she loved writing poems, plays, and stories. As an adult, Wright is the author of the novel From Rags, the Deep in Your Veins novels, the Dark in You series, and the Phoenix Pack series. Lure of Oblivion is the third novel in her Mercury Pack series. Wright, who lives in Liverpool with her husband and two children, freely admits that she hates housecleaning and can’t cook... but always shares chocolate. 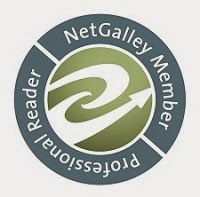 Reviewers on the Wicked Reads Review Team were provided a free copy of Lure of Oblivion (The Mercury Pack #3) by Suzanne Wright to read and review.